Matthew Kennedy launched the Pacific Film Archive retrospective Joan Blondell: The Fizz on the Soda with introductory remarks for the first evening's double-bill: Blonde Crazy and Night Nurse, both from 1931. Straight off, Matthew expressed his thanks to PFA for "having the good taste" to organize the Blondell retrospective in conjunction with the publication of his biography: Joan Blondell: A Life Between Takes (University Press of Mississippi, 2007). Great Hollywood acting careers are usually defined—reasonably enough—as the result of great performances in great movies. Take the, admittedly, trite example of Bette Davis; undeniably, a great movie star. It may be a bit tacky to start a tribute to Joan Blondell with mention of Bette Davis; but, we have reasons. One, they were contemporaries and good friends; two, because Joan admired Bette's guts, talent and fighting spirit; and three, because a comparison is, I think, revealing. Joan Blondell never had a run of characters to equal Judith Traherne, Regina Giddens, Margo Channing or—God knows!—Baby Jane Hudson. Nor did she have movies on her resume that approached the excellence of Now Voyager, The Little Foxes or All About Eve. Let us mourn the career that might have been had Joan been nurtured by directors she never worked with: Frank Capra, Leo McCarey, George Cukor, Ernst Lubitsch, Preston Sturgess and Joseph L. Mankiewicz. That's what Joan didn't have; but, what did Joan have in her career? Plenty, it turns out. In fact, I would like to suggest that our conventional notion of what makes a great star is too limited and that's just where Joan comes in. She began in vaudeville before WWI, made 92 movies, was a regular on three television series, made over 100 TV guest appearances, and was in dozens of plays and on radio over a 70-year career in show business. 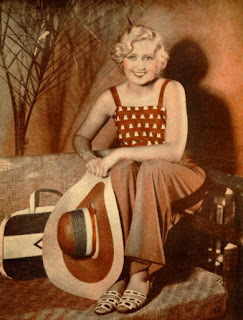 Yet how many times have I heard something like this: "Joan Blondell was wonderful. What was she in?" Most of her movies are forgotten; but, she is not. Her career was based on the slow, steady warmth of public affection that keeps burning all these years later. She's the kind of actress who gets taken for granted in her lifetime and leads us all to the eventual realization that someone wonderful was knocking around the perimeters of major stardom for decades. So here we are at the Pacific Film Archive to give delayed honor to the fizz on the soda. Blondell's career was not based on fulfilling the promise of great roles, as was the case with Davis or Stanwyck or Crawford. Instead, her career was based on fulfilling the promise of great types. Or rather, types she made great. 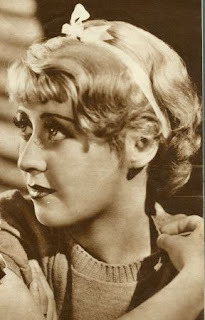 And anyone who's ever seen a Joan Blondell picture, especially those from Warner Brothers in the 1930s, knows these types well: the slightly disreputable chorus girl; the love struck secretary; the cynical gun moll; and the clever newspaper reporter, among several others. Time and again she took uninspired material and made it sing with the distinctive timber of her voice with its perfect diction and timing, in tandem with those startlingly round and expressive eyes. It always seemed to me that—after Joan Blondell delivered a line, any line—she owned it. 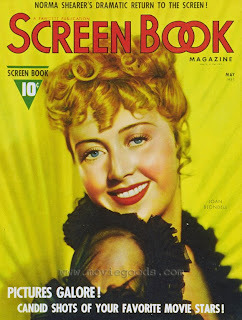 So while Davis had Jezebel, Dark Victory and The Letter, Joan Blondell had dozens of Joan Blondell pictures, which is precisely the point. There wasn't one movie she made that wasn't improved—sometimes enormously—simply by her being in it. If Blondell performing one miracle after another with tepid scripts and ineffective directors over a 50-year film career is not a sign of greatness, then I don't know what is. Everything I've just said is rather contradicted by this marvelous 11-film retrospective since it includes those films that actually do justice to her talent. If she excelled at a variety of types, so too was she at home in a variety of genres. Represented here in this rich two-week course on the art of being Blondell is the twisted film noir Nightmare Alley, the big-budget musical Footlight Parade, the sentimental family drama A Tree Grows In Brooklyn, and the hardboiled pre-Code quickie Three On A Match. Joan is foremost remembered as a comedienne—rightfully so—and three subgenres are featured here: the romantic comedy The King and the Chorus Girl; the screwball comedy Three Girls About Town; and the mystery comedy There's Always A Woman. Finishing the festival are two of her later performances that confirm her exceptional range. In Lizzie she is the boozing, mean-spirited aunt to a mentally ill Eleanor Parker. Then, in 1977, when she was chronically ill and just two years from death, Joan discovered a whole new way of making movies when she appeared in John Cassavetes' Opening Night. Here, she is a seasoned, world-weary playwright in a semi-improvised low key tour de force of barely-concealed contempt for a neurotic actress played brilliantly by Gena Rowlands. But back to the early days. For this opening night, we start with the chipper comedy Blonde Crazy from 1931. While Joan and James Cagney were appearing together on Broadway in 1930, they were both given short-term contracts at Warner Brothers and both were signed to long-term contracts even before shooting ended on their first picture Sinner's Holiday. Blonde Crazy is their fourth outing together, Joan's first starring role, and the first time the great Cagney-Blondell match-up could really take flight. In this naughty romp for two loveable Depression-era grifters—that echoes towards The Sting and Paper Moon in the 1970s—they show a fantastic yin and yang, Blondell wisely choosing smaller gestures to complement Cagney's pyrotechnics and she matches him every step of the way, disarming him with a quip or quick slap across the cheek. Tonight's second feature Night Nurse was shot and released several months before Blonde Crazy. It was among many films that acted as kind of a prolonged audition, as early on Warner Brothers had Joan support a potpourri of other young first generation sound actresses. Some are immortal, some forgotten, including Evalyn Knapp, Mary Astor, Helen Twelvetrees, Jean Harlow, Bebe Daniels and Loretta Young. As sassy day nurse to Barbara Stanwyck's title character, this is precisely the kind of role that endears Joan to audiences then and now, as she excels at comradeship and sympathy with a copasetic actress like Stanwyck and is free from the burdens of a leading role. And, I should mention, both Blonde Crazy and Night Nurse—in the best pre-Code tradition—nearly exhaust the cinematic potential of underwear. To finish, let me tell you a little bit about 1931. Joan made 10 movies in 12 months. So tonight's double bill represents a mere 20% of her work output in a single year. She would make 10 more in 1932. Under these circumstances and in respect for her sheer talent and hard work, remaining the fizz on the soda for those two years, much less the following 47, was a Herculean accomplishment. Based on a story by Kubee Glasmon and John Bright, with an original working title Larceny Lane (which appears on one of the film's earliest reviews), Blonde Crazy is a slap-happy "grifter flick" (as Dennis Schwartz terms it). 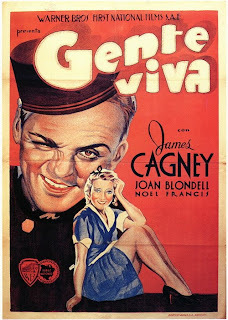 The MovieDiva sketches it as "[a] tough and risque lark about cheating cheaters" and notes the pairing of Cagney "with the lush and sassy Blondell. The jazzy comedy was written for them, and they are amorous buddies, a bellhop and a chambermaid riding an escalating whirlwind of swindles." As Lorraine LoBianco details for the TCM database (leaning heavily on Kennedy's biography, I might add), Blonde Crazy's tag-line was "Jim's back!...and with a brand new line!" Fresh from his break-out hit The Public Enemy where Cagney won audiences over with his wisecracking gangster persona, the "new line" in Blonde Crazy became the now infamous, "Mmm, that dirty, double-crossin' rat!" Or perhaps it was: "The age of chivalry is past. This, honey, is the age of chiselry." 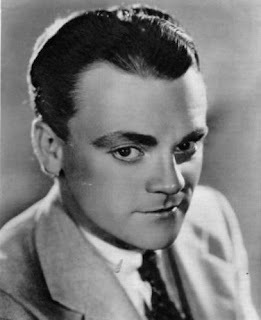 There are several quotable witticisms in Blonde Crazy, and not all of them from Cagney. I'm partial to Joan's: "You must be exhausted. Sit down and rest your hands and face."